Let's make mochi in the shape of the zodiac figurines from episode 1! Shigure may have been making little zodiac figurines, but I choose to believe he was making mochi...zodiac mochi! With a delicious ganache filling. Yes...this seems plausible. Click through to see how to make your own adorable mochi! Dimple is a powerful entity on his own, and now you can consume his energy by turning him into dessert! 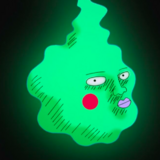 Dimple is Mob's former companion, but he's powerful in his own right. Who wouldn't want a side-kick like Dimple to have your back? Now you can enjoy a fine Dimple-shaped dessert on your own, so you never have to be without him! Click through to read more about how to make your own! Cooking with Anime: Rimuru Mizu Mochi Inspired by That Time I Got Reincarnated as a Slime! Have you ever wanted to just...eat...Rimuru? Rimuru is the best, and now you can just straight up EAT the little slime. For fun! For a lark! Just...eat him. It's low-calorie, too! Click through to learn how to make your favorite slime! 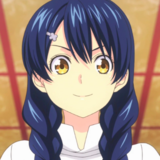 Cooking With Anime: April Fools' Onigiri from Food Wars! Will you get squid and peanut butter, strawberry jam and sardines, or garlic pork??? Try playing a little Russian Roulette this April Fool's day! But, instead of the usual wasabi in rice trick, why don't you level up with a disgusting filling inspired by Food Wars? Ever wanted to try the awful squid and peanut butter? How about sardines in jam? Well, now you can, and you can trick your friends into eating it, too! Click through to read how! 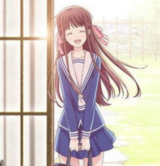 Cooking With Anime: Strawberry Shortcake from Kaguya-Sama: Love is War! Is there a more romantic meal than a slice of cake you spend 15 minutes fighting over before never actually eating? Kaguya and Shirogane fight over this strawberry shortcake, before never even getting to eat it, which just speaks to the overall tragedy of the situation. What's the point if fighting with your crush if NO ONE even gets to eat some yummy cake?! To rectify this problem, I've compiled the best recipe here so that we can eat it for them. Click through to read how to make your own! Cooking With Anime: Gluten-Free Curry feat. 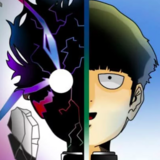 Mob from Mob Psycho 100! Gluten-Free Japanese style curry gets even better with Mob's face in the middle of it! It may not be natural to pair Mob with curry, but it DOES feel quite natural to see his face floating in a bed of delicious, gluten-free, Japanese curry. I mean, what other kind of supernatural middle-schooler would you expect to see gracing the middle of a dinner plate? Click through to find out how to make your Japanese curry both gluten-free AND Mob Psycho 100 themed! 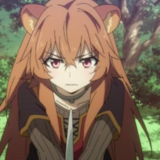 Has anyone else ever noticed that Raphtalia's ears kinda look like cinnamon rolls? 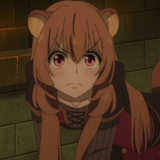 Raphtalia is so cute, and so are her ears! And, of course, because I'm the weird one here, I noticed that her ears kinda look like cinnamony cinnamon rolls, and that's all the excuse I needed to make cinnamon rolls. So...here we are! Click through to learn how to make the most delicious cinnamon rolls! Cooking With Anime: Feathered Lemon-Blueberry Scones inspired by Filo from "Shield Hero"
I got to wondering what Filo, from Shield Hero, would look like as a breakfast food. Why? Because I'm weird like that! What are the results? Click through to find out! 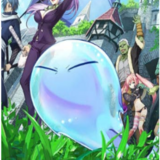 Cooking with Science - Slime from That Time I Got Reincarnated as a Slime! We are taking a temporary break from food this week to make SLIME! Slime is fun to touch, fun to play with, and fun to make! 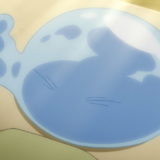 Soooo, since That Time I Got Reincarnated as a Slime continues to be an absolute gem of a show, I guess I need to do the inevitable: make my own slime! This particular slime is JUMBO (seriously), and cost me probably too much money. Click through to learn how to make it!